For decades, local, regional, national and international clients have relied on ScottHulse attorneys’ unique knowledge of and standing in the Borderplex to help them navigate the complexities of doing business in Mexico and our rapidly growing and ever-changing cross-border marketplace. ScottHulse is strategically located in El Paso, Texas – the heart of the West Texas, Northern Mexico and Southern New Mexico Borderplex – the largest and most dynamic international business and trade center on the U.S./Mexico border. With additional offices in San Antonio, Texas, and Las Cruces, New Mexico, we are well positioned to provide strong service to clients throughout the U.S./Mexico trade corridor. Over the past 20 years, manufacturers from around the globe have capitalized on the NAFTA free trade agreement by developing twin-plant maquiladora facilities or shelter operations in Mexico. Additionally, companies in a wide array of sectors such as real estate, packaging, transportation and logistics, and technology services, have also established operations in the Borderplex to serve and support companies doing business in Mexico. Our Mexico Law practice, offering licensed legal representation in Mexico, is indicative of our commitment to being the most responsive full-service commercial law firm in the U.S./Mexico border region. ScottHulse is the only truly international law firm in El Paso, offering clients the convenience, efficiency and effectiveness of single-source, dual representation in both the U.S. and Mexico. 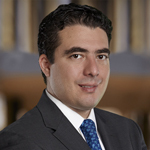 Led by international attorney Jose Luis Carbonell and Javier Lopez, a licensed Mexico attorney with extensive experience in Mexico energy, our Mexico Law practice group enables our Firm to provide strong, aggressive, “boots on the ground” representation in Mexico. Licensed Mexico representation enhances our international trade & cross-border business capabilities and our proven ability to fulfill client needs related to significant cross-border transactions, including mergers and acquisitions (M&A). Our dual representation in both the U.S. and Mexico enables clients to consolidate and streamline oversight, coordination and implementation of their U.S./Mexico legal activities, thus easing the challenges of doing cross-border business. Our Mexico attorneys and many of our U.S. attorneys, who work collaboratively on Mexico and cross-border matters, are bilingual (English/Spanish) and have deep roots in our bi-national community. These unique strengths enable our Firm to work effectively and efficiently in both countries, while serving a diverse client base. The diverse industry experience of our Mexico Law practice group includes and is not limited to manufacturing (including maquiladoras and shelter manufacturing), real estate, industrial and residential development, urban development, engineering and construction, automotive, hospitality and tourism, health care, medical equipment, banking and financial services, transportation and logistics, petroleum products, mining, and natural gas and energy distribution. Counsel to Buyer in the acquisition of several multimillion dollar manufacturing, packaging and logistics businesses with operations in the U.S. and Mexico (maquiladora operations).